Sitting idly for hours and waiting for a fish to finally bite your bait has now become boring. So, humans created a new trendy way of fishing called surf fishing. You get to feel all the excitement angling from shore and most fishermen think of it as the absolute peak of fishing. There is something unique and calming about standing directly in the waves that you are casting to and feeling the cool waters at your feet. However, choosing the right rod for surf fishing can usually stop a fisherman in his tracks. Surf Rods are unique fishing rods and made specifically to withstand the abuse of tides and waves. They are built with enhanced durability and increased performance since salt water can easily break down or corrode a typical rod over time. Finding the best surf casting rod can be a difficult task because there are so many great choices available on the market today. A typical trip to a fishing rod market is like walking through an unknown bamboo forest. Most past brands are there but with new varieties, each competing for your eyes and attention, flashing their design features and attractive colors that were never dreamed of in the past. Surf fishing rods features in order to narrow down your options. Power is very important when considering to buy a surf fishing rod because the ocean environment can be harsh and somewhat unpredictable. Some anglers looking for smaller fishes usually hooks bigger species instead. The best surfing fishing rods should be able to handle medium to extremely heavy pressure. It helps ensure that the rod can remain intact and durable when used against large waves. And also allows a good variety of fish species. A surf rod action shall determine its flexibility or how much can a rod bend. A surf rod bending at the center is quite better than others that bend at the tip which is, of course, still depending on the individuals’ technique of casting. In general, many surf rods are best equipped to bend at the tip which offers a more fluid cast. Determining the right surf rod length hugely depends on your height. For short anglers, a short rod will provide easy handling when compared to longer ones that can make surf fishing uncomfortable and difficult. The same goes for taller anglers: a longer surf rod will be much easier for you to manage than short rods that can be limiting. Furthermore, casting distance should also be considered when determining the rod’s length. 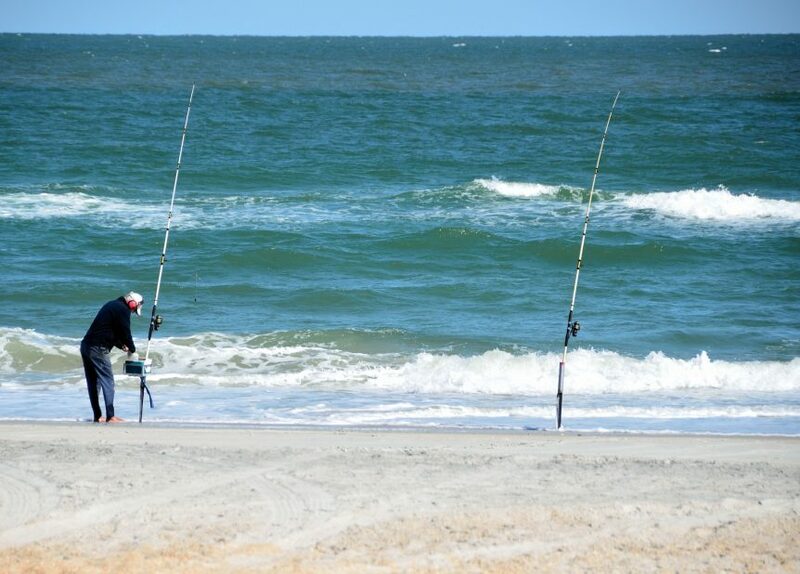 Surfing rods with a length of 10 to 12 feet can, of course, be cast much further than those between 8 to 9 feet. If you want to cast to a longer distance, then you need to look for longer surf rods that can efficiently and easily get the job done. Now that you understand the things you need to consider when choosing the best surf casting rod, you still get the dilemma of choosing the right one in front of hundreds of surf rods available in the market. Let me help you with that! Here are my top picks for the best surf fishing rods today! This 11-foot surf fishing rod by Okuma is built on 2-piece IM6 graphite blank which gives precision and power on long-distance casts. Widely known for manufacturing great fishing gears, Okuma gives enough attention to its quality which is very evident on this surf rod. Double-footed stainless steel guide is lined with inserts made of Fuji aluminum oxide to avoid rusting and cutting. Looking goods, Fuji cushion hoods reel seats provide great strength to holds large spinning reel firmly in its place. Its cork grip contains a thin profile to fit the hand really well and save weight. The reel seats are surrounded with EVA foam padding that gives protection in times of extended fights. Nicely balanced and much sensitive than other rods, this surf rod can give power to effortlessly send a five-ounce lure to a 100 yards distance. The tip can detect even the slightest of bumps on the bait but have the needed strength to remain in one piece. Okuma Solaris is a great surf rod for those who have a tight budget and beginner anglers. Spinfisher V combo is great for amateur and beginner anglers or for those individuals who just want to try surf fishing. PENN spin fisher V combo is 10-foot heavy surf rod that is built on a two-piece composite blank, fitted with guides that are stainless steel and is aluminum oxide inserts protected. The surf rod gives a decent action and is really strong enough for the price. It is built with PENN’s new casing that is watertight that is said to take no harm when dunked in the surf. Instant anti-reverse couples and 5 bearing cranks, together with HT-100 slammer drag system gives the reel with extreme performance qualities. Furthermore, the reel has a backing gasket made of rubber that can let you wind the braided super lines without the help of a monofilament backer. This Surf travel rod comes at 9 or 10 foot long. The St. Croix Triumph Surf Travel Rod has and advanced reinforcing technology and high strength construction of exotic carbon fiber that offers added durability for multi-piece rod. Moreover, this rod comes with a rod case covered in nylon and can be broken down into 4 manageable pieces. Like any other rods made by St. Croix, the triumph surf travel rod offers a high-quality SCII graphite blank that is specifically engineered for casting in long distance and is protected by 2 Flex Coat slow-cure finish. It is a lightweight rod with surf guides made of hard aluminum oxides. It also includes custom cork tape handle and frosted silver hoods on FUJI DPS reel seat. Most of all, this four-piece surf rod will make you confident with its five years warranty. A manufacturer of high-quality fishing rods, Lamiglass has been producing and designing great quality rods for more than 65 years. They hand build some of the best beach gears and the Supersufr second generation rod is one of the best in the $500 range. The rod itself has obvious detailing which is high quality, great looks, and an impressive distance casting power. It is a 2-piece, 11-foot rod made of graphite composite blank which makes it light and offers sensitivity and fast action. It has the strength to flying weight of up to six ounces for over a hundred yards. 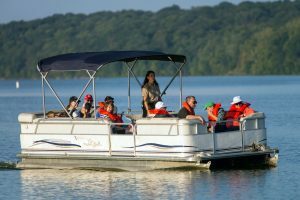 Moreover, it has guides which are lightweight K-frame and a stainless steel Fuji reel seats. Grips that are black shrink tapes made the rod look more modern and reduces the weight significantly. The rod can be so light in your hand that it seems impossible to catch a 50 pounds of fish in a harsh shore but it can! Daiwa is a respectable brand name in the fishing rod industry and has the reputation of producing some of America’s best-selling and high-quality rods for so many years. If you are on a tight budget but want a high-quality rod then you can never go wrong with Daiwa Beefstick rod. It is really strong and stiff that it needs to be thrown its rated limit of bait on 40 pounds test line and ten ounces of weight. A seriously long-distance casting machine, the Daiwa Beefstick surf cast rod has an extended rubber covered base that offers the needed leverage to load the rod for such large distance throws. An EVA grip which is non-slip is positioned below the stainless steel composite reel seat. Stainless steel Guides that are heavily framed are covered with ceramic inserts that are cut proof and also creates lower friction in retrieving and casting. Daiwa Beefstick together with the correct reel can be an unstoppable surf rod. Any surfing rods in this article can give you many hours of fun fishing and a wide range of performance. However, among these five, our top pick would be SSS11MHS Supersurf Second Generation Rod by Lamiglass because of its expensive beauty and the versatility that makes you avoid buying different rods because of the responsiveness action and stiffness. Furthermore, it gives you the ability to throw lures to long distance and plugs off the jetty if you are not chucking the bait out over the sandbar. Surf fishing is one of the most enjoyable and beautiful fishing methods ever created. Anglers can catch wide varieties of fish by standing on a pier, the beach or in the surf while letting them enjoy the beautiful and unique scenery. And of course, for a full experience, the right and best surf rod is a necessity. I hope this article becomes a great help to you. If you have any suggestions or questions, feel free to leave a comment below. I would love to hear from you!